UST See Me Recharge - Orange | BUDK.com - Knives & Swords At The Lowest Prices! 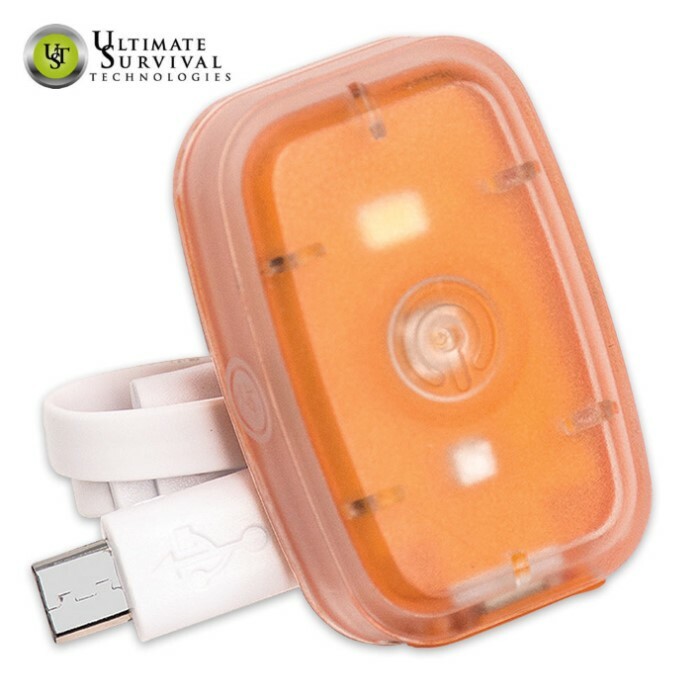 The See-Me Recharge is a compact and rechargeable LED light that’s designed to go wherever your adventure takes you! The handy utility clip is great for attaching to belt loops and backpacks to keep it nearby when you need it most. It has four modes: steady-on, flashing white, steady-on red and flashing red. When the light is turned on, it uses the last lighting feature used. It includes a USB recharging cable.